To celebrate the release of The Man of Steel this month, we’re going Superman mad. Check back daily for Superman-related reviews. After the success of Batman: The Animated Series, Superman: The Animated Series must have seemed like the most logical choice. 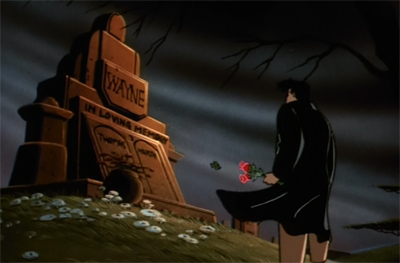 Bruce Timm had already assembled a team of writers and production personnel who had collaborated to produce one of the finest distillations of one of DC’s most iconic characters. Giving Timm a chance to work with Superman seems only reasonable. After all, Superman is a character that Warner Brothers has always had a bit of difficulty exploiting to his maximum potential. However, Superman is not quite Batman. Despite the fact that he’s older and (at the very least) just as iconic, Superman hasn’t been quite as popular as Batman for quite some time. He doesn’t have the same depth of supporting characters, and his iconography isn’t as thoroughly integrated into popular consciousness as that of Batman. Superman didn’t have a live-action technicolour sixties television show to introduce an entire generation to the Parasite, Metallo, the Kryptonite Man or many others. 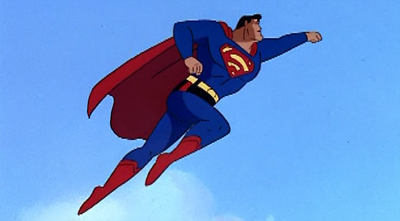 Opening with a three-part pilot, it’s immediately clear that Timm knows that Superman is a very different character than Batman, and that he can’t simply apply the same formula which made Batman: The Animated Series such a high-profile success. From the opening episode of Last Son of Krypton, it’s clear that Superman: The Animated Series is going to be a very different animal. This September marks the twentieth anniversary of Batman: The Animated Series, and the birth of the shared DC animated universe that would eventually expand to present one of the most comprehensive and thorough explorations of a comic book mythology in any medium. To celebrate, we’re going back into the past and looking at some classic episodes. Destroyer is the last episode of Bruce Timm’s shared, massive DC animated universe to air. Beginning with On Leather Wings, two decades ago, the producer brought an animated version of the publisher’s pantheon to the small screen. It’s certainly an impressive accomplishment, and I think that Timm’s work provided the definitive versions of many of the company’s characters and concepts. That said, the entire final season of Justice League Unlimited seems like one giant epilogue. The first season of the show finished on a triumphant note, with a four-part story that would have provided a nice finalé for the shared universe, and a one-episode coda to the entire world that Timm and his staff had brought to life. In many respects, Nothing to Fear feels like more of a proper pilot and introduction to the world of Batman: The Animated Series than the first episode, On Leather Wings, actually did. It feels like something of a mission statement for the series, offering a very rough outline of what the show would learn to do very well, illustrating the approach that the series would take in handling the lead character and his world. While the finer details aren’t necessarily present, and there are more than a few missteps along the way, Nothing to Fear serves as a fitting welcome to this definitive animated Batman.